Citigroup chief Vikram Pandit will try to convince investors that the financial services major is on a recovery path, following fresh concerns about his future in the company, a media report said. 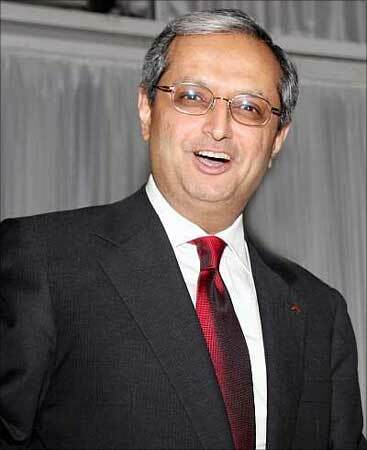 "Vikram Pandit, Citigroup's chief executive, will on Tuesday strive to convince investors that the company is on the road to recovery amid fresh questions over his future at the financial group," the Financial Times said in a report. Ahead of Citi's annual investor meeting scheduled for Tuesday, it has emerged that senior officials at the Federal Deposit Insurance Corporation privately discussed who might replace Pandit if the bank needed more government aid, the report noted. Quoting a person familiar with the matter the report said, "It is unthinkable that Vikram could stay on if Citi requires more federal funds. It is prudent to be thinking about different scenarios." The FDIC is only one of the regulators, which has a say on whether Pandit should steps down if the government bails out Citi for the fourth time in six months following completion of the "stress test" of its health, the daily said. Any decision on Citi's leadership would be led by the Treasury, which is about to take a 36 per cent stake in the firm and would sanction further capital injections, it added. The Federal Reserve and the Office of the Comptroller of the Currency, which regulate national banks, would also have to bless top management changes. According to people close to the situation, the report said FDIC officials had discussed successors to Pandit, who had become Chief Executive in December 2007. The names of the successors being discussed include Ned Kelly, chief financial officer, Gary Crittenden, his predecessor and chairman of the division containing Citi's non-core assets and one of Citi's new board members in the discussion, it added. The new directors on Citi board are Jerry Grundhofer, former chief executive of US Bancorp, Michael O'Neill, former head of the Bank of Hawaii, Anthony Santomero, former head of the Philadelphia Federal Reserve, and William Thompson, former co-head of bond group Pacific Investment Management Co, the FT added. However, the FDIC and the other agencies declined to comment, it added. "Our recent quarterly results reveal the underlying strength of the franchise and Pandit's strategy at work to restore Citi to profitability," a Citi statement said. After posting losses in the past five quarters, Citi has returned back to profitability in the first quarter of this year. The financial services major posted a profit of $1.6 billion in the first quarter of this year against a whopping loss of $5.11 billion in the same period last year.